My name is Nan Ma. On many online forums I use the name "schuma" because I am a big fan of Michael Schumacher. All of the puzzles on gelatinbrain's Virtual Magic Polyhedra. See the scoreboard. Many four-dimensional puzzles, including the tessaract MC4D, 120-cell, 24-cell, and a simplified 600-cell using Magic Puzzle Ultimate. I have solved 2x2x2x2 blindfolded. Puzzles in other topological spaces, including the hyperbolic space, projective plane, and Klein bottle, using MagicTile. 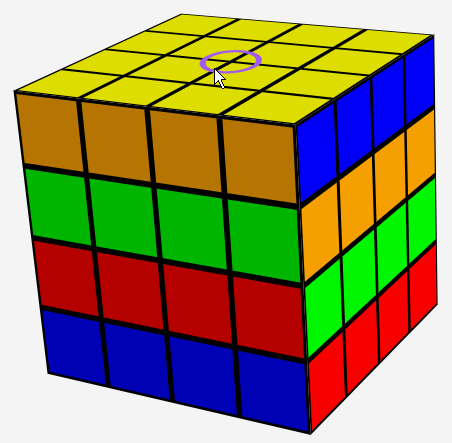 The Complex 3x3x3, a very neat generalization of the Rubik's Cube. I gave lectures on how to use group theory to construct algorithms to solve the puzzles listed above in UC Berkeley. Here is a recorded video. I am an average speed cuber. My personal best is super-20. I'm also very interested in the game Tchisla and have built a webpage to help me explore the records. In September 2018, I worked with Roice Nelson to explore possibilities of non-associative "twisty" puzzles. We built a proof-of-concept puzzle based on integral octonions in Python. Check the introduction and the repo. Lights Out 3D: a puzzle similar to Lights Out in spirit but based on polyhedra. Touch friendly! 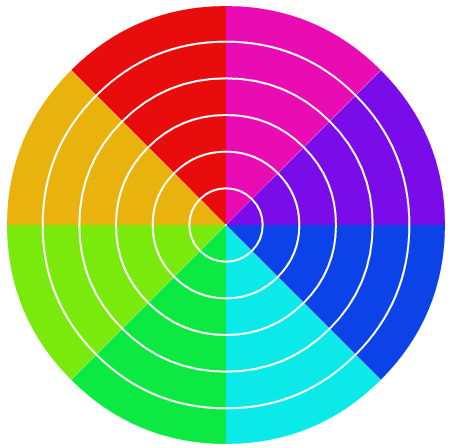 Lollipop: a 2D puzzle that contains all possible pieces twisted by all subsets of axes. RefleCube: a Magic Cube allowing only reflection moves rather than twisting moves, or both. 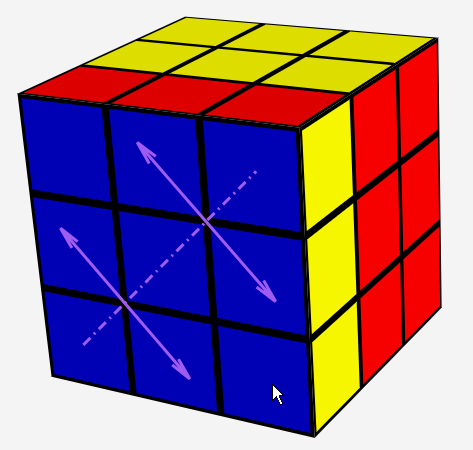 Clockwork Cube: a Magic Cube on which the rotation of all the slices are correlated. 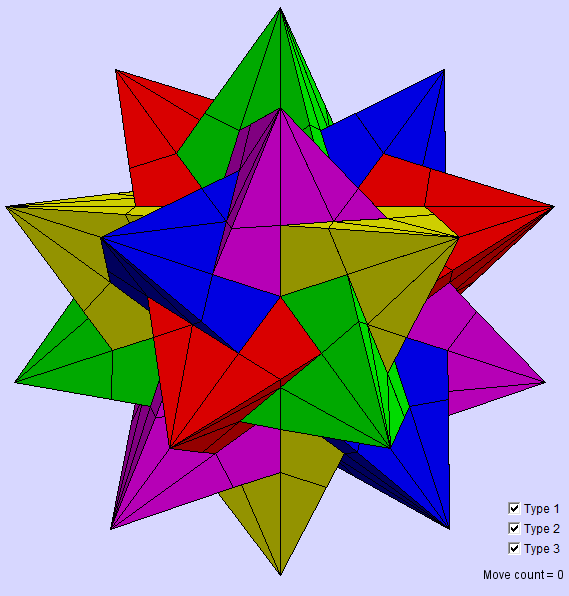 Twisty Star: a puzzle based on the beautiful compound of five tetrahedra. 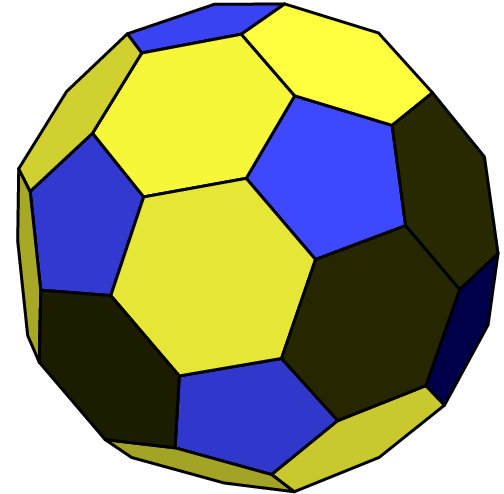 It is related to the face-turning icosahedra. 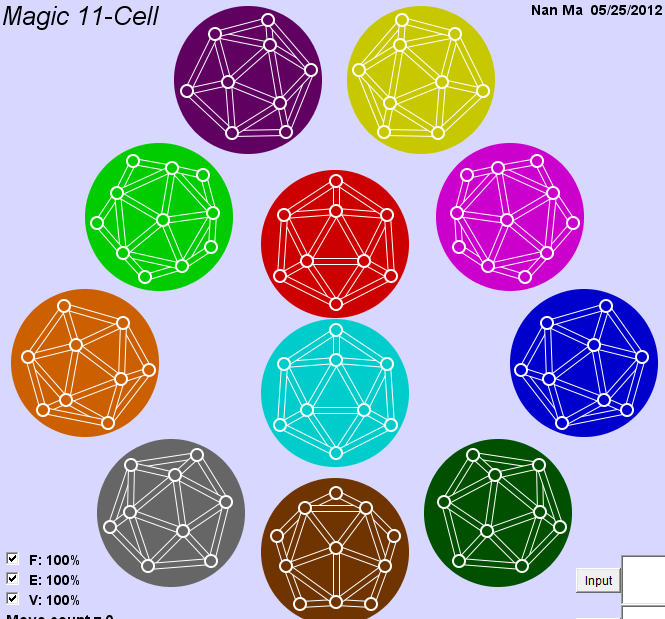 Magic 11-cell: a puzzle based on the abstract regular polytope 11-cell. 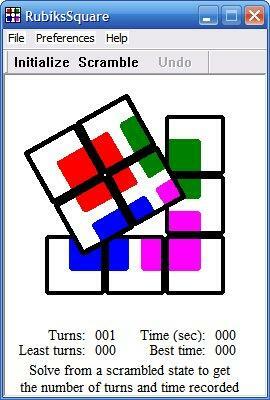 Rubik's Square: a 2D puzzle like the fifteen puzzle. But instead of sliding, only twisting is allowed. Inside H3: not really a puzzle. 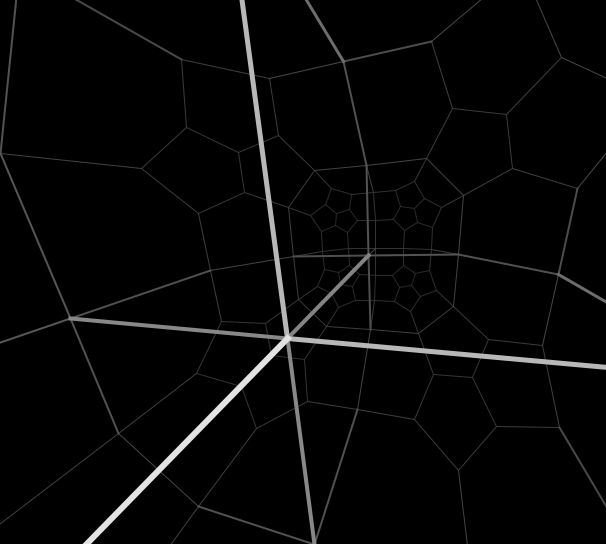 It's a visualization tool to simulate what you will see when navigating a spaceship in hyperbolic polytopes.